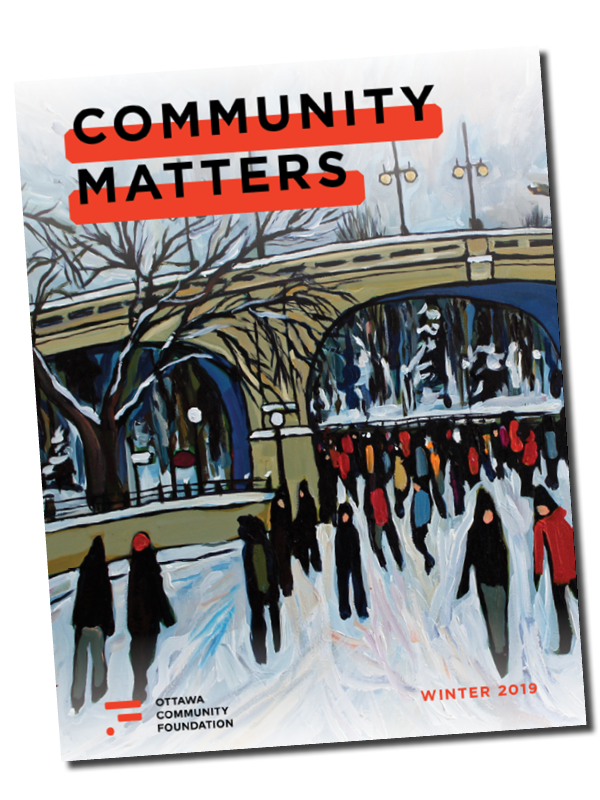 As Chair of Ottawa’s local funders’ network, the Grantmakers’ Forum (GMF), the Ottawa Community Foundation recently helped to launch the Collaborative Grantmaking Pilot Project. Featuring a new, streamlined grantmaking process through which a common grant application and measurement system is applied by all participating funders, the project also involved a collective review and approval process. Collaborators on the 2015 pilot included the Ottawa Community Foundation, United Way Ottawa, the Champlain Local Health Integration Network, the City of Ottawa and the Ontario Trillium Foundation. Through the pilot, a total of $40,000 was pooled to support community priorities focused on youth through a partnership with the Coalition of Community Health and Resource Centres. Following a spring 2015 deadline, the pilot project provided funding to support a city-wide program that empowers youth aged 12 – 18 years and their families to be part of the solution to youth violence and crime. Upon completion of the pilot, partners conducted a comprehensive evaluation of the collaborative process, which included a survey of key stakeholders involved. A sampling of the results of that survey concluded that all the community organizations who responded were “satisfied” (75%) or “very satisfied” (25%) with the pilot process and partnership, indicating they felt that the streamlined granting process resulted in increased efficiencies and demonstrated the funders’ commitment to easing the burden on agencies to access funding. 80% of funders agreed they had increased their effectiveness and ability to work collaboratively, and all the community organizations who responded agreed that collaboration and relationships among partners were encouraged and enhanced through the pilot process. Comments from both funders and community organizations involved in the pilot indicated that this is an innovative model that could be replicated on a broader scale and is a good foundation to build on for future, similar initiatives. The long-term vision of the pilot is to change the way funders conduct more of their grantmaking in order to have even greater impact in the community.